Lisa A. Costello, Ph.D., was named the new Director of Women and Gender Studies (WGST) by Dean of the College of Liberal Arts and Social Sciences, Curtis Ricker, D.A., and will begin her duties at the start of the spring semester. 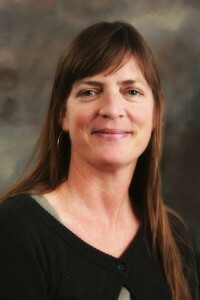 Costello came to Georgia Southern University in 2007 after receiving her Ph.D. in Rhetoric and Composition from Louisiana State University and has served over eight years in the Department of Writing and Linguistics. She was promoted and tenured at the Associate Professor level in 2013. She served as the Interim Director of the WGST Program in 2009 and has been a core faculty member of the program since her initial hire. Costello’s work is interdisciplinary and her research intersects rhetoric and composition, gender studies, and Holocaust studies. She is currently working on a book project about Holocaust memory and gender tentatively titled American Cultural Memory and the Holocaust: Per(Form)ing Gender. She has worked extensively with the United States Holocaust Memorial Museum (USHMM) in Washington, D.C. In 2012 she was selected as one of 20 fellows for the Curt C. and Else Silberman Seminar at the USHMM, which explored the Holocaust through the perspective of gender, and she is currently piloting a new digital resource for the museum, which will be housed at the Jack, Joseph, and Morton Mandel Center for Advanced Holocaust Studies. Costello has also been recognized for her teaching in the classroom and was presented with the Dorothy Smith Golden Award for Teaching Excellence in 2011. The award goes annually to the Georgia teacher or professor who sets the gold standard in composition-teaching excellence. Georgia Southern’s Women and Gender Studies Program is an interdisciplinary liberal arts program that seeks to foster an understanding of the ways in which ideologies of gender and sexuality permeate the entire fabric of society. The Program also supports two student organizations that are chapters of national entities: GSU-NOW (National Organization for Women) and URGE (United for Reproductive and Gender Equity). Costello is a faculty advisor for both. Women and Gender Studies offers an undergraduate minor and a concentration that enhances a variety of careers paths including law, human resources, business, education, and government. To learn more about Georgia Southern’s Women and Gender Studies program visit cah.georgiasouthern.edu/wgender.